PRAYER PROMPT ••• Today is Reformation Day – the 500th anniversary since the German theology professor, Martin Luther, nailed his “95 Theses” to the door of Wittenberg Church. Those 95 Theses stated Luther’s protest of unbiblical practices being endorsed by the Catholic Church. Reformation Day represents the beginning of the Protestant movement and it’s a day widely celebrated around the world. But let’s get personal with reformation – beyond Reformation Day and Martin Luther. Isn’t this the exact thing that happens to us when we begin to follow Christ? 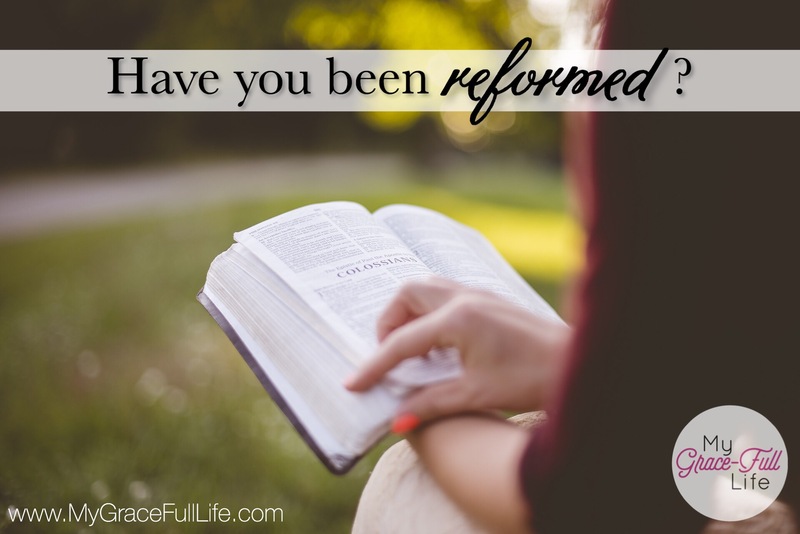 Through our faith in Him, we too are reformed. He meant the focus wasn’t on him, but on Jesus. For us to reform, we have to surrender our will and our wants to become more like Jesus. More of Him; less of us. Where are you in your own personal reformation? Are you allowing the Holy Spirit to change you to become more like Jesus? Are you living with your “work in progress” sign up, or have you stalled in your progress? We may celebrate Reformation Day as a church, but individually, we all have our own Reformation Day that began on the day we asked Christ to live in our hearts. Today, as you pray, thank Jesus for the reformation He’s worked in your life. Ask the Holy Spirit to continue to reform you to be more like Jesus Christ. Ask Him to increase Jesus and decrease you, so Jesus can shine brightly in your life for others to see.